If you didn’t grow up in snowy climate, you might remember how intrigued you were when you saw your first snowfall — and how exciting it was to build your first snowman. 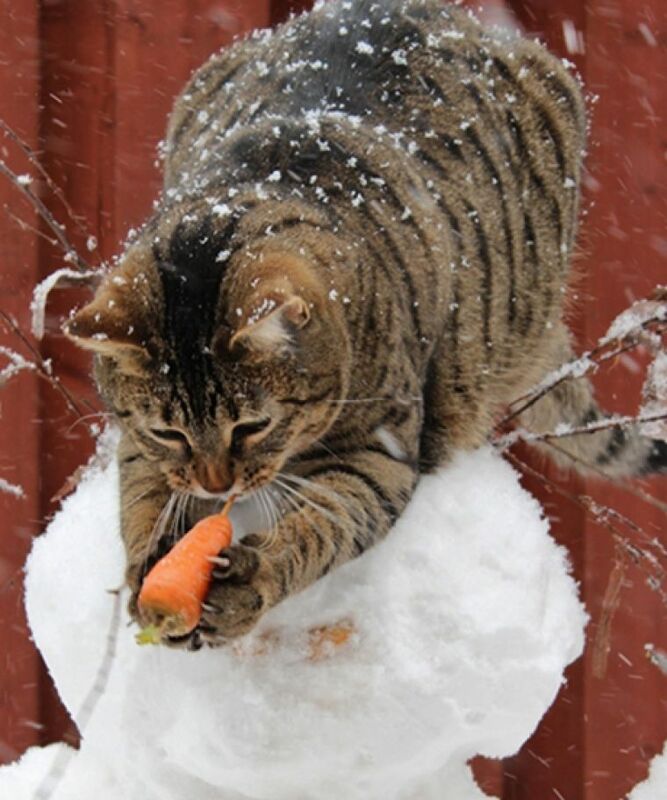 For the 12 cats ahead, the whole snowman thing is just CRAZY. They don’t know what to make of it, but it’s pretty hilarious watching them try to figure it out.